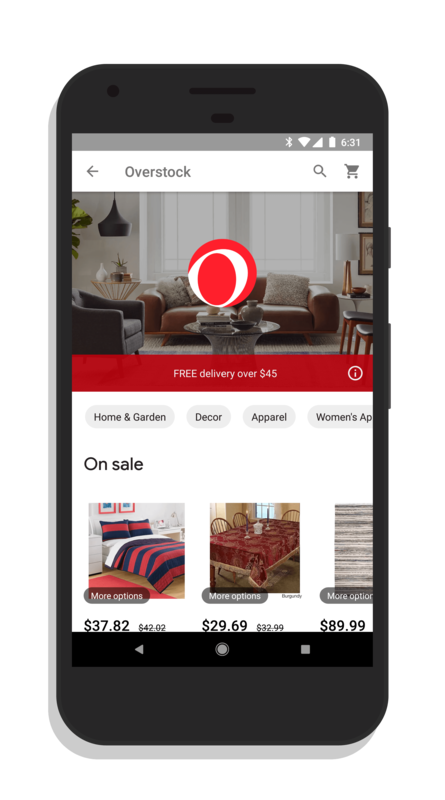 Overstock, the online retailer of a wide range of personal and home decor items, has become the latest company to be added to Google Express. That brings the total number of retailers you can buy from within the Express site or app up to 56, all with free shipping after a certain purchase level. If you aren’t familiar with Overstock, they started life as a company selling equipment and other furnishings from startups that had gone bust. But that quickly morphed into selling new furnishings, personal care items and home decor, some of which is now specifically manufactured for the company. Right now, Overstock in Google Express is offering free delivery on purchases over $45. The delivery fees will be waived once you hit that number and purchase items in your cart. There is no coupon code or other shenanigans required. The good news for users of Express, you don’t have to worry about any app updates. Assuming you are using the latest version, the addition of Overstock is a cloud-side change so you should just see it show up in the store carousel in the app. For those who aren’t familiar with Google Express, it is a free app and service that allows you to buy from retailers and have those items delivered to your doorstep. It gives you one app to go shop and, as you would expect, has a great search feature to help you find things you are looking for without having to go through each retailer.